April 5, 2013 April 28, 2015 Andy ChathamLeave a Comment on Once again, the Relief Society saves the day. Once again, the Relief Society saves the day. Thanks to the awesomeness of my brother Brandon and his wife Susie we were having a Brother’s Reunion in Hawaii. We were on our third day and so far three people had caught the stomach flu and been sick – we were heading for our fourth day and fourth victim. 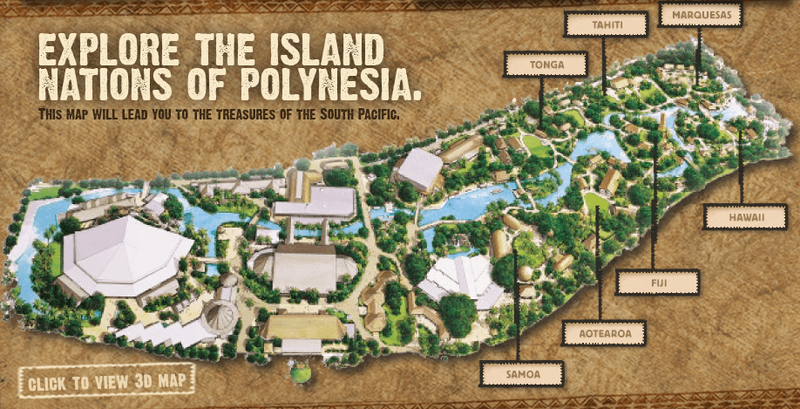 Tuesday we headed to the Polynesian Cultural Center. We got there at noon and spent the entire day going from village to village. We were having a good time, but Chelsie, Brandon and Susie’s baby, had been more than cranky all day. Finally at dinner they decided to pull the plug and take her home. She was getting warm with fever and they knew she wouldn’t sit through the upcoming two hour show. As Brandon got up to take her to the car I felt prompted to see if Brandon would like help in giving her a blessing. As Brandon is her father it’s his call, but sometimes the Lord prompts us through others. As she had been fussy all day, regardless of their efforts to console her, I was pretty sure he would be grateful for the offer to help in giving her a blessing. So, I jumped up and said I’d grab our jackets before the outdoor show. A few steps away from our table I spoke to him and asked if he wanted some help blessing her, he happily agreed and we made our way out toward the cars. A few minutes later we reached my car and I realized that I didn’t have any consecrated oil with me. Even though I made an effort to bring it on the trip, I’d left it back at the house. I looked at Brandon, and as I did he said, ‘Do you have any oil on you?’ I smiled and said, ‘No, I was just thinking that.’ Hmmm… We stood there for a moment thinking what to do. I ventured that we could ask someone. I looked up and saw a couple making their way to their car. They had longer than normal shorts on, and we were at PCC – so I took the gamble and jogged over there. As I looked into the eyes of the man, the gravity of what I was hoping to do – use the Priesthood, fell on me. I began to speak but my voice was instantly choked up. ‘Are you LDS?’ I asked. But I knew before I finished that yes they were. He smiled and said he was. ‘Do you have any consecrated oil?’ I barely got it out as I choked back the tears. Ugh! Why was I crying? But I knew why. I was planning to use the Priesthood to bless someone I loved. I was at a point in my life where I was worthy and willing to use the power of God on the earth, an action that I was incredibly honored to participate in. Something that I’d worked all my life to be in a position to do. It is always humbling. Unfortunately when I get prompted by the Spirit I tend to get emotional. Do you know how lame that is, as a guy? Trying to be macho is impossible when you get choked up. Not that I’m king of machismo or anything, but crying is simply not something I like to do. The man looked up, as in thought, and said, ‘I’m sorry I don’t. I have the wrong set of keys.’ We both knew he meant that his normal key ring had a fob on it where he kept his oil. Normally this meant he was prepared all the time, as he would usually have his keys with him. Vacation though, meant change and he didn’t have them. I said it was OK and started to leave as he said he’d be willing to help if I found some. I told him that was OK and jogged back to Brandon and Susie. Strike one. Susie said how nice it was that I was willing to ask a stranger for help. I quickly realized though, it was the only way this was going to happen. They were struggling with three little kids under the age of six and one had a fever. I told them I’d solve the problem and be right back. I jogged a couple rows back toward the entrance and saw another couple meeting a similar description. I jogged up and as the words came out of my mouth, there it was again – emotion. Each time I spoke about what I was hoping to do, I became emotional. My emotions were right there on top. I asked and yes he also was LDS, but as he padded his pocket he too said he didn’t have any oil on him. However, he said he was with a pretty big party and both he and his wife were confident someone would have some. We walked in to the main PCC waiting area. Dinner was about to start and everyone was gathering at the entrance area. He walked away and told me to wait just a minute as he made his way over to some people in his party. I waited for a few minutes and they came back with apology on their faces. There were at least 4 in his party that didn’t have any. He too offered to help with the blessing if I needed a second, I told him I was good, just needed some oil and thanked him. I spotted someone walking by that had an eternal smile and asked if he was LDS. This time I was emotional from the get go, barely able to ask him that question. Concern came across his face as he assumed something terrible must be taking place – this man is having a tough time controlling his emotions, and he’s asking strangers for help. Ugh! I asked if he had any consecrated oil and he said no, but asked if everything was OK, was it an emergency? I said it wasn’t and that a small child needed a blessing, I just needed the oil to help. He understood and apologized, he did have some back at his hotel though… I thanked him and said that was OK. Really striking out now. I asked another man, who was also LDS – I was pretty good at spotting those. But he too claimed he had the wrong keys. At this I thought their had to be a better way. I walked a few steps to the ticket area and asked the workers, who I knew were most likely BYU-HI students, which also meant they were most likely LDS, and would understand my need. I told them I needed an Elder and some consecrated oil. They understood, but the two women and one man didn’t have any. The man actually pulled out his key chain and looked and said, ‘I have the wrong keys.’ Funny how we all do that. They led me to the Service Desk next door, there should probably be some men there. There wasn’t. Just one female worker and she didn’t know anyone immediately accessible that could help me. Another worker showed up in a few minutes and I asked her. She ran off to find someone. I spun around looking at the crowd. It has been almost 10 minutes now. Too long. I needed to solve this problem. Brandon and Susie were needing to leave. Now she either said, ‘Senior Missionaries,’ or ‘Senior Couple,’ I can’t remember which. Senior missionaries would make sense, as the church runs PCC and would do well to have a missionary couple actively participating at the entrance of PCC to help keep things running smoothly. Either way, I was excited that Sister Rigby was going to help. The second worker was digging through what looked like cash drawers behind the Service desk, but wasn’t having any luck. And then Sister Rigby showed up. She was talking to the workers explaining it was her personal vial and that whoever was borrowing it would need to get it back to her. Right then one of the men I’d asked for help came up to me and asked if I’d had any luck. I turned to Sister Rigby, who was standing behind the counter digging through her purse. She pulled out a large key chain and started groping through it looking for her key fob. In answer to his question, and staring at Sister Rigby I said, ‘Yes, Sister Rigby is taking car of me.’ She looked at me and said, ‘How do you know my name? !’ I smiled and said one of the workers said you were the one who could help me. She handed me the vial and I promised to return it to her. I jogged out the entrance to my brother’s car. They had packed everything in their rental and had the back open letting the kids play on one of the parking lot grassy islands while they waited. Susie was holding Chelsie. I anointed and as I did so, I knew I was at the right place, at the right time, doing what my Heavenly Father wanted me to be doing. I knew His Priesthood was being used to bless one of his daughters that He loved very much. I knew He was happy with our efforts. Brandon sealed the anointing and I knew everything would be OK.
A few minutes before, when Sister Rigby first handed me the oil vial, I turned to my would be helper and said, ‘Once again, the Relief Society saves the day!’ – we all smiled. How true that often is. There were over 9 Melchizedek Priesthood holders that were caught flat footed that night, and we were saved by a member of the Relief Society. Thank you Sister Rigby. The Video I Thought Would Garner Me YouTube Fame. Where will this one take me? Until it happens to someone you know.